Is Bubblegum Harmful to Canines? You’re likely to have bubblegum in your house, especially if you have kids at home. If you don’t have bubblegum, you probably at least have some chewing gum to keep your breath minty fresh. If your dog gets ahold of some gum, should you be worried? Unfortunately, there is definitely cause for concern if your dog has eaten any kind of gum. That’s because it contains an ingredient called xylitol, which is extremely poisonous to dogs. It only takes 3 grams of the stuff to kill a 65 pound dog. Because different manufacturers use different amounts of xylitol, it can be difficult to determine just how dangerous the situation is. If your dog vomits, is uncoordinated or lethargic after consuming any amount of gum, or if you have a particularly small breed, you should visit your vet. Source: Is Bubblegum Harmful to Canines? Dog Grooming – What is “hand-stripping”? Hand stripping is type of grooming regimen that is used when a dog’s grooming needs cannot be met by a shaving or hair trimming. The difference between hair trimming and hand-stripping is, aside by from being done by hand, hand stripping removes the dog’s hair coat from the root so a new hair coat can grow in. Hair clipping or hair trimming removes only the top layer of hair that is already dead or loose and the coat usually ends up with a dull texture and color. Some canine breeds that require hair stripping include Airedale terriers, Schnauzer, Wirehaired Pointing Griffon, Bouvier de Flanders, Jack Russel Terrier, and Cairn terrier. The common denominator of these breeds is a hair coat that produces two types of hair – a soft and dense undercoat and longer and wiry top coat. Source: Dog Grooming – What is “hand-stripping”? Maybe you’re lucky to live in an area where there are hedgehogs. Hedgehogs are lovely and it is only natural if you want to help them a little. Their life is hard enough because of humans, such as cars and building roads everywhere, which can shred their area. And of course they also have a lot of trouble with all the poison we throw in our gardens. But I would like to write a different blogpost about making your garden (if you have one) hedgehog friendly. A lot of people give a hedgehog a platter with milk, when they see one. This is very saddening, because you try to help the hedgehog, which is a good thing. But by doing this, you’re making it worse. You should never give a hedgehog milk. They aren’t tolerant for the lactose in it and it will give them diarrhea and other indigestion problems. This is very dangerous and could lead to their death, for example due to dehydration. If you see a hedgehog, you can give him some water, this can really help them with their journey and life. If you want to give him some food, you could give some cat or dog food or some cooked eggs or scrambled eggs without milk. Neder give pieces of bread (again lactose) or herbs. Hedgehogs like humid foods. Hedgehogs are omnivores and a big percentage of their diet exists of worms, snails, wood louses etc. This is one of the reasons why having hedgehogs in your garden can be great. Giving them water regularly, can make them come back to your place. Since we’re talking about milk being bad for a hedgehog, even though a lot of people don’t know this, I also want to connect this to a similar case: cats. You shouldn’t give cats milk either, again because of the lactose. Adult cats can’t digest it, so you shouldn’t give it to them, even though they often do like milk. You shouldn’t give kittens cowmilk either. They don’t contain the necessary nutrients. There is special catmilk, in case you have a kitten who can’t get milk from it’s mother. You can also find special powder to make it yourself at the vet. In a lot of pet stores, you can find catmilk. This is a treat for your cat and you shouldn’t give it to them regularly, even though it’s specifically for cats. Catmilk contains a lot of calories and doesn’t contain necessary nutrients. It’s best to always give water. Please remember that it’s best to give water. Water is necessary for them and it’s very helpful if you give it to them. It’s not ‘boring’ for them or ‘sad’ that they always drink water. Also keep in mind that these animals often do like milk, so they will still drink it, even though it’s bad for them. So that’s not a good indicator of whether it’s bad for them or not. If you encounter a situation in which someone wants to give milk, please tell them they (the animals) can’t have it. There’s nothing wrong with not knowing it or being wrong, but it’s so much better for the animals if we inform each other. Most cases of asthma in dogs are often viewed as an allergenic condition. Thus, there are periods of flare-ups and situations that are worse than others; a dog can also go without symptoms for months before he suffers from another bout of asthma attack. Since asthma is commonly triggered by potential allergens in the dog’s environment, taking steps to identify these external triggers can help you prevent or reduce your pet’s exposure, as well as manage asthma attacks. One important trigger of asthma attacks in dogs is dust mites. Dust mites are microscopic organisms that are almost always present to some degree even in houses that are regularly cleaned. In addition to regular cleaning and proper disposal of dirt and dust, the use of air filter, anti-static dusters and cloth wipes can help keep the level of dust mites to a minimum. Cases of diarrhea in dogs should NOT ALWAYS be a cause for worry. Sometimes a dog suffers from diarrhea because something is wrong with the animal’s digestive system and his body is trying get rid of the problem. There are instances when diarrhea is the natural method of the body to get rid of a problem. A dog that has ingested something that is toxic, or has consumed something that does not agree with his body may suffer from loose bowel movement, which in this case, is a symptom of the problem and also the cure. When you choose to administer medicines to stop or curb diarrhea, you are interfering with the body’s process of getting rid of the substance that is causing the problem. This can actually conceal the problem, and even make it worse, leading to bouts of diarrhea that can be harder to diagnose and address later on. Cats are known for being able to hide signs of pain as a result of illness or injury. But when pet owners spend regular time interacting and bonding with their furballs, they will be quick to spot signs when there is something wrong with their pet. A cat that is feeling under the weather may prefer to hide away in a place where it’s comfortable, warm, and quiet. In the wild, hiding when they are in pain protects them from any predators; this instinct is still very much strong in pet cats when they are sick. One of the common problems that cats can suffer from is a urinary tract infection. The problem can become serious in cats and should be brought to your veterinarian’s attention as soon as possible. Some important signs to watch out for include straining when they urinate, unsuccessful attempts to urinate, and painful urination. The cat may also become noticeably irritable and often avoid using the litter box, preferring to do their business somewhere else. Pet dogs still possess certain traits that are reminiscent of their ancestors’ behavior in the wild. Even if they have been kept as pets for a very long time, some of these unique canine behaviors are still being displayed, and some breeds are even more pronounced at displaying certain behaviors than others. One of these distinct canine behaviors is ‘herding’. Some canine breeds have been originally bred to assist in farm work. Among these are dogs that belong to the herding class. The herding instinct of these dogs can be so strong that even if they are being kept as pets, they are often observed to herd other pets in the house or even the humans of the pack. Even if it’s a normal canine behavior, it can become a problem when a pet dog starts herding very small kids or senior citizens. However, proper training can tech these dogs to herd only when given the command. Cats can have pimples and acne, too. 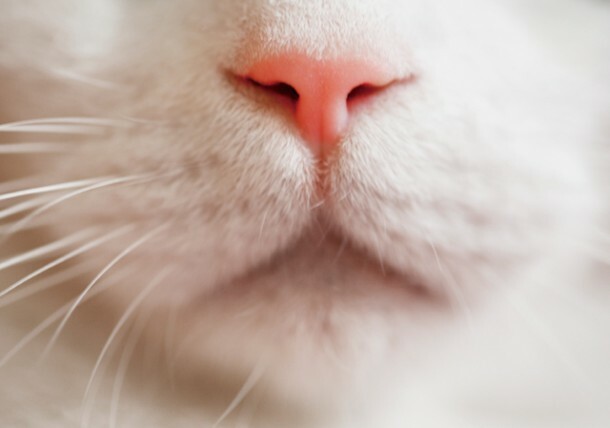 Many cat parents don’t realize that the small growths and bumps they find around their furball’s face and chin are actually skin breakouts that can persist and worsen over time. Pimples and acne can get infected without proper veterinary attention and treatment. One of the most common causes of acne and pimples in cats is poor hygiene and sanitation. Pores of the skin can get clogged with dirt and dust, eventually paving the way for skin breakouts. Sometimes, they can get itchy and the cat may scratch them, making the situation worse. It can irritate and introduce pathogenic bacteria which can lead to infection. When pimples and acne are infected, there is usually redness, swelling, and pus may also be present. Bring your pet to your veterinary clinic for proper attention and treatment. Many pet owners think that visits to the veterinarian are undertaken only when their pet is suffering from something that they cannot handle on their own. Having this notion can make visits to the vet stressful for both pets and other owners. If a pet owner thinks that bringing his pet to the vet clinic is a hassle, there is a possibility that the negative feelings will rub off on their pets, causing the animal to be stressed, too. However, a change in perspective can make a world of difference in the way pet owners view visits to the vet. Bringing a pet to the vet clinic shouldn’t be done only when the animal is sick; annual health checks are equally important because it enables you to take a proactive approach to your pet’s health and wellbeing. Each wellness visit is an excellent opportunity to have your pet checked thoroughly for signs of illness, have his vaccinations updated, and tested for parasites. This is also a time to consult with your veterinarian about questions and concerns you may have about your pet’s health, care, and behavior. Arthritis is a painful condition characterized by inflammation of the joints. Most cases of arthritis in dogs occur among those that are in their golden years. If your pet is suffering from arthritis, he will need all the help and care that you can give so he will be able to enjoy life to the fullest. Here are some ways to make life better for your arthritic canine buddy. Some arthritic dogs have mobility and stability problems. Place rugs around the house to give them traction, and prevent them from slipping or sliding, which can be dangerous. Canine massage, when done correctly, can ease sore muscles, reduce stress, and lower blood pressure. This is also a good way to bond with your pet, as well as an opportunity to check your dog’s body for any lumps and sore spots. Just like in humans, acupuncture can help stimulate and boost the body’s ability to release pain-relieving substances that also possess anti-inflammatory properties. Heating pads can relieve the aches of inflamed joints and sore muscles.